At Brian’s Custom Pro Shop, we will professionally fit you for a pair of hockey or figure skates with either a stock boot, or can have a pair custom made for you depending on your foot shape . 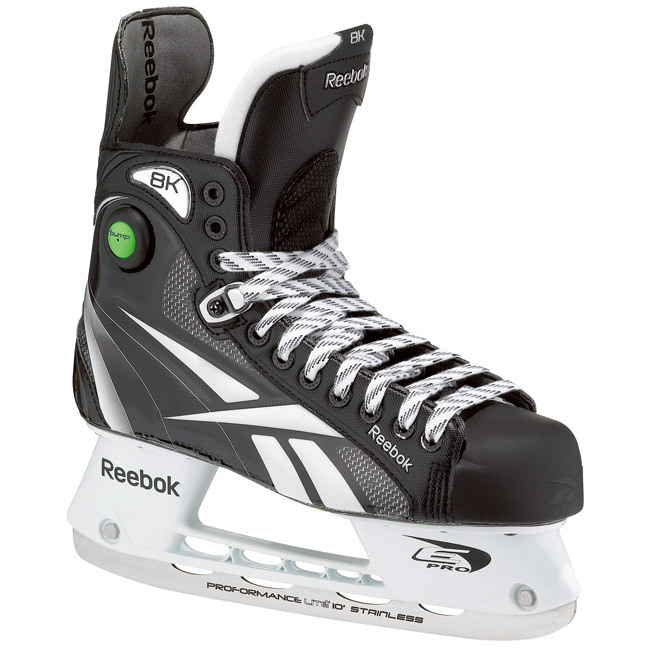 In most cases, stock skate boots can be shaped and modified to accommodate almost all feet, but there are the rare occasions that a player or skater will need to have a pair of custom skates made to fit them properly due to the shape of their feet, or the specific needs and demands they put on their skates. We will initially do a “foot analysis”, which involves assessing different parts of the foot to determine which boot from which manufacturer is best for the athlete, and discuss the particular model(s) that would ideally suit you and why others won’t. Our goal is to put you into the right skate, for optimal performance and comfort at a price that fits your budget. The next step in our fitting process will involve changing the manufacturer’s insole to a much better, supportive aftermarket insole. This is done by making sure the right size and type of footbed is chosen for your skates and foot type. It is a crucial part of having a properly fitted pair of skates. 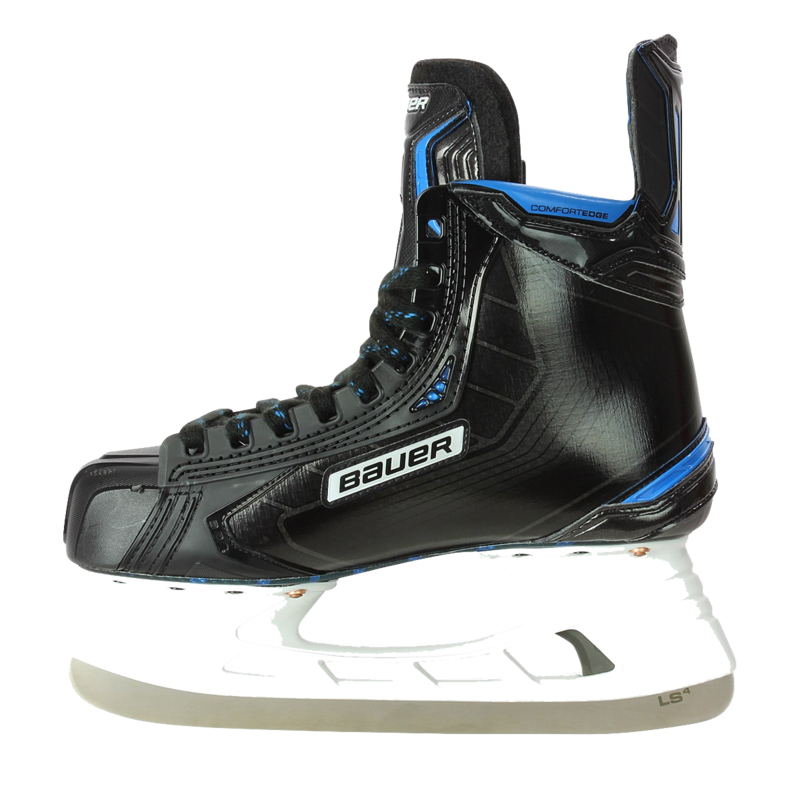 Not only will they improve performance, but having your new skates molded to your feet neutrally aligned in the boot from an footbed designed for a skate, not a shoe, will greatly improve comfort, reduce fatigue and injury, and increase the longevity of your skates. We usually use Superfeet developed by Northwest Podiatric, the world’s leading orthotic lab when choosing orthotics for our customers. Now we are ready to heat mold your skates. After the boots have been heated and laced up on your feet, and allowed to cool, we want to know if there is anything that does not feel perfect. We have all kinds of tools and gadgets, stretchers and punches, hydraulic and manual that will allow us to customize the fit of your skates if they are not 100%. Also at this time, we will check your blade alignment (if you want to have your skates aligned), which could also be the cause of your skates not feeling 100%. Most people that are here for the first time have never heard of blade alignment. Blade alignment is a process where we make sure that the skater has even control of both edges on the ice, and not standing in a pronated or supinated position in their skates. There are many reasons that a skater will not stand straight in their skates, and “weak ankles” is not one of them. The ankle is a hinge joint, which moves forward and backward, and the weak ankle theory is a complete myth. The cause of pronation or supination can be one of many, including bone structure, fallen arches, poorly lasted boots or poorly mounted blades from the factory. Not only will properly aligned blades improve performance, but will also reduce knee strain, groin and abdominal injuries, back problems, reduce fatigue, and will even add life to your skates. This process can be fairly simple for some players, or take up to an hour or so. If you know are in need of alignment, it’s never a bad idea to set up an appointment to shorten your visit. For figure skaters, an appointment is always necessary, as there are limited staff that can properly fit and align figure skates. Call today to book an appointment to save you time at 519-254-5733 or TOLL FREE at 1-877-528-3766.